Fixer upper houses that you don't want? Here are some examples of what to avoid. It seems obvious, but then I am remembering that nice couple in the Calgary newspaper that was proud of the $9,000 profit they were going to make on a $400,000 house. That's ridiculous. There has to be some reasonable minimum profit that you need to take on a deal. Too little and you just have a job, not a good investment. 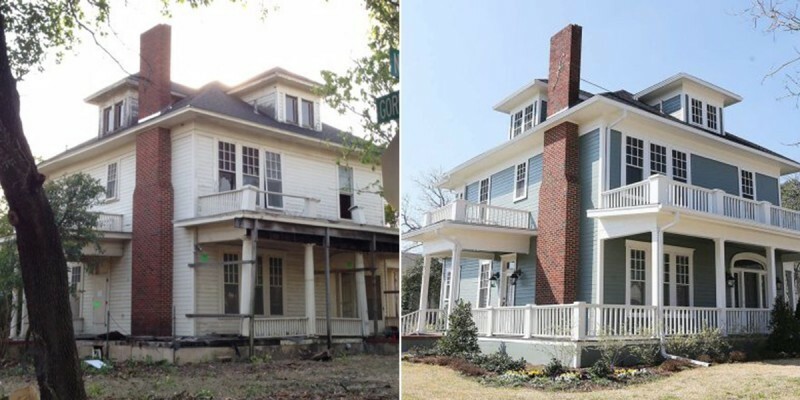 More importantly, fixer upper houses are inherently unpredictable. If you ever watch those television shows on flipping homes, you have probably seen the investor go way over budget a number of times. It may be okay to go $18,000 over budget due to surprises if you projected a $35,000 profit. You'll still make $17,000 after all. But if you are trying for just $9,000, and this happens, you just lost all the profit from this deal and the last. You worked months for nothing. How much profit you need as a minimum will vary according to a lot of factors. How likely is it that this house has big hidden problems? Very old homes are more likely to have surprises. How much do you want to be paid to fix and flip a home? You want an investment, not a job. What other options do you have? If you keep looking, will you find better deals within a few weeks? Pick your own number or numbers, but don't think too small. If you know starter homes inside and out, why not invest where your strengths are? It may be true that others are making $50,000 profits on upscale fixer uppers while you make $25,000 on basic three bedroom houses. But are you flipping them faster than they are? Maybe you can do two houses in the time they do one. Also, do you know what upscale buyers want? Do you have the financial resources to do the big homes without trying to cut corners in ways that limit the increase in value? Of course, you can learn anything with time. For example, you could become an expert on foundation problems and so make big profits where others are scared off. But until you do know more about foundations, you may be better off avoiding homes with those kinds of problems. When you are fixing and flipping a three bedroom, two bath hose in the heart of a town that is growing, you know you will find buyers. Buy an upscale fixer-upper in a nice suburb and you may have more work to sell it, but it will sell. But what about that cute one-bedroom home in town, or that half-underground house in the hills? You may want to avoid these, and any other house that is TOO special. I know of a home that looks like a spaceship. It is white and shaped like a flying saucer. Nice looking actually, but how do you put a price on something like that? And if you can't put a price on it, how do you know if you'll make money with it. To be honest, such unique properties can be a real opportunity for the right investor who is creative, a great marketer, and likes a lot of risks. For most of us, though, this would be a house to avoid. Unique fixer-upper houses are difficult to price, which makes them riskier. But they also take more time to sell. There are only so many buyers out there for a spaceship house or a one-bedroom cottage, after all, and it may be a year or more before the right one comes along. An unpredictable holding time means unpredictable expenses. Add unpredictable sales price to unpredictable expenses, and you have a fixer-upper that you might lose money on.